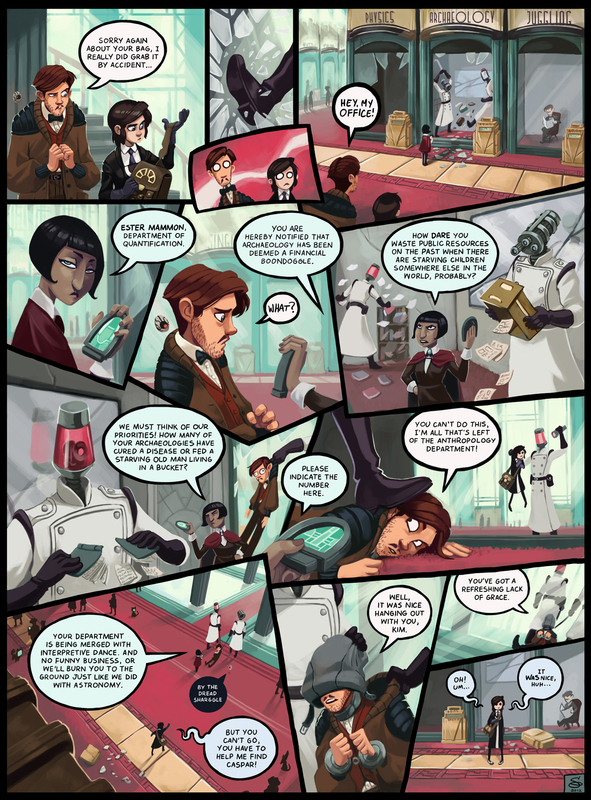 Dark Science Act 2 begins! What will happen to our brave heroes??? DID YOU KNOW you can get access to any and all of the many, many hi-res Dresden Codak wallpapers with a donation of any amount? It’s true! Times can be tough for online comics in the summer months, and this, combined with the time I’ve had to take off to work on the two books, has resent left my funds thin as of late. Dresden Codak is my only source of income, and that entirely comes from you! I’m not one to casually ask for donations, but if you’re interested in supporting more free comics on the internet, I certainly won’t stop you. Enjoying Dresden Codak? Become a Patron Today!